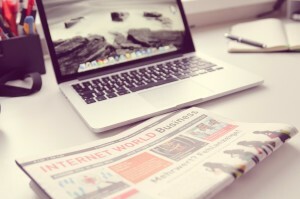 Modern business owners are becoming more aware of the effect their activities are having on the environment. As a result, more businesses are thinking carefully about how they can play their part to ensure that future generations have a cleaner, healthier planet to live in. Giving environmentally friendly corporate gifts to different types of business associates is a novel way today’s business leaders are doing their bit for the environment. 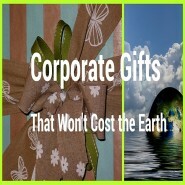 Below are some corporate gift ideas that literally won’t cost the earth. Businesses have a wide range of solar powered gifts to choose from. These products reduce the recipient’s dependence on other energy sources such as electricity, which consumes a lot of the earth’s resources when it is being generated. Some of the most popular solar powered products include ornaments, toys and gadgets for specific hobbies and interests. Some corporate gift recipients prefer to get more practical types of gifts. This includes a range of functional items that are made from recycled materials. Laptop bags, laptop sleeves, wallets, pad folios and messenger bags are just some of the items that will be put to good use on a regular basis by anyone who receives these environmentally friendly gifts. Unfortunately, the manufacture of many timber-based gifts has a devastating impact on the area the timber is sourced from. To counteract this, many products are now made using bamboo. Bamboo is a much more sustainable material and the items made from it are still high quality products. Corporate gift ideas that are made from bamboo include business card holders, pen holders and photo frames. More people than ever use the internet and their mobile phones. As a result, many traditional methods of celebrating certain events and special occasions are no longer effective. This is particularly true when you are sending cards to celebrate certain occasions, to people related to your business. Sending paper-based cards to large numbers of people is costly for a business and the environment. In many instances, these cards will never be opened or read at all, which makes this problem even worse. 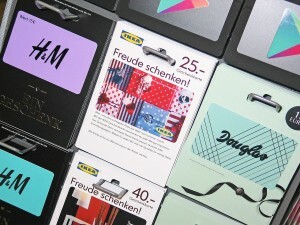 In response to this, a range of online businesses like www.eco2greetings.com allow you to design and send customized corporate e cards to whoever you want. You simply choose your e card design, card music and any other customization you require. Then it’s just a matter of sending these cards by email to the e card recipients, which means there’s less waste and less effort required. You can even track the number of people who opened your e cards, when they opened them and much more. Buying a corporate gift is one of the most effective ways to demonstrate your appreciation for people connected to your business. Buying eco-friendly gifts is also a clear indication that you have put even more thought into the gifts you buy, because you are thinking about the well-being of the environment as well. The points above are just simple ways you can do this. 4 Reasons to go Green: Make this Planet Greener!